Has winter come for illegal downloading and streaming? I read this article and found it very interesting, thought it might be something for you. The article is called Has winter come for illegal downloading and streaming? and is located at https://www.rocketlawyer.co.uk/blog/winter-come-illegal-downloading-streaming/. It’s no surprise that HBO’s Game of Thrones has taken the number one spot for being the most illegally downloaded TV-show in four consecutive years. With a global fanbase and international acclaim, fans and viewers are always waiting in anticipation for each episode to be released. It’s not White Walkers that are in HBO’s nightmare, it’s pirates. Sharing data over the internet has never been easier. It causes significant problems and threats, especially to the music, film and television industries. 50% of the population admitted illegally downloading or streaming content from the web in the last five years. Streaming, downloading and even sharing content on the internet has always been a grey area because the law was never introduced to take into account the internet and its complexities. Is downloading and streaming illegal? Downloading a song, film or television programme without paying for it or without the consent of the copyright owner is not a criminal offence. It’s a civil matter. Downloading or streaming content which doesn’t belong to you is infringing someone’s copyright. It’s up to the copyright owner to bring a claim for copyright infringement against whoever downloaded their content. The starting point then is “who owns the copyright?”. Copyright is an intellectual property right that belongs to the person that created the “thing” (eg music, a film, a book etc). If we take Game of Thrones as an example, George R.R. Martin (the author of the epic fantasy novels, A Song of Ice and Fire) would have owned the copyright in the books he wrote, including all the characters, the locations and everything to do with the Game of Thrones universe. HBO then bought out the television rights for the series to create their show, Game of Thrones. Some copyrights can be worth millions; the approximate worth of intellectual property rights in the UK being around £60 billion. So there’s a reason why companies in the media industry take illegal downloading and streaming very seriously. Downloading can be a criminal offence if the downloader makes copies or shares the files for the purpose of selling and making a commercial gain. The criminal penalties can vary, according to the severity, but can range from a fine of £10,000 to 10 years’ imprisonment. The Digital Economy Act was introduced to target copyright infringement online. It includes obligations on Internet Service Providers (ISPs), such as Virgin and BT, to send notifications to customers who are suspected of infringing copyright. Sky and Virgin have already started issuing customers with 20-day warnings if they are suspected of illegally downloading or streaming content. Internet companies have yet to announce what will happen if customers ignore these warnings. Why is it difficult to stop illegal downloading or streaming? Regulating the internet has always been controversial and near impossible. The internet is predominantly user powered and therefore it seems polarising, in my opinion, that third parties should be intervening and dictating the population’s digital freedom. ‘Torrenting’ is also a huge problem for the media industry. Torrenting is a form of peer-to-peer file sharing where pieces of files, such as music, games and films, are split between users and once all the pieces are downloaded, will form the whole piece of content. 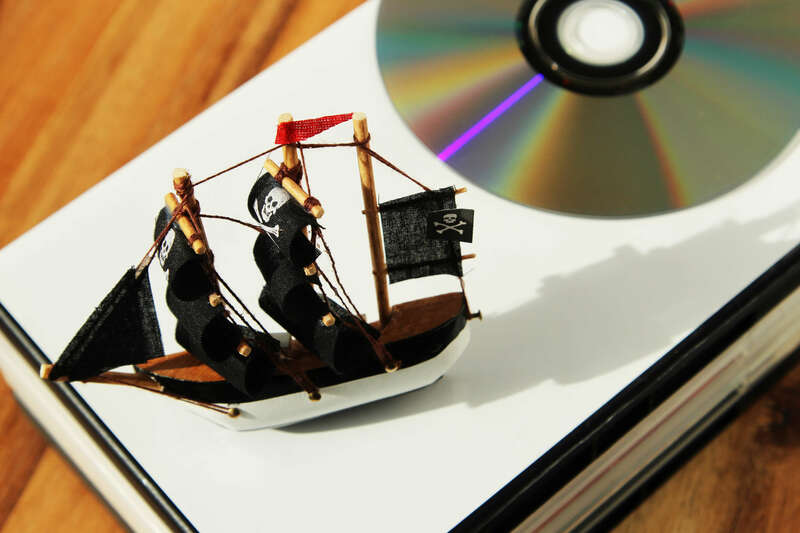 The Pirate Bay and BitTorrent are common platforms used to share pieces of the files between users. It is inherently difficult to control because there is no central database or system and is likely to be one of the reasons why The Pirate Bay and BitTorrent are still going strong. Although not quite as rigid as Arya Stark’s list, HBO has been targeting pirates since Season 5 of Game of Thrones and has taken the issue of illegal downloading and streaming into their own hands. HBO has been sending out alerts and warning messages to ISPs that a particular IP address was used to illegally download Game of Thrones without their permission. Whether or not ISPs take action after is down to the country’s own domestic laws. American ISPs aren’t obligated to notify their customers. However, some UK ISPs have taken part in an initiative to “educate” customers on the wrongs of illegal downloading. Whether companies like HBO can ever stop internet users illegally downloading or streaming Game of Thrones episodes is unknown. With so much centralised data, it’s unsurprising that they were the victim of a recent internet hack which saw the leak of customer data and an unaired episode of the latest Game of Thrones. Whilst we can all debate the morality behind illegal downloading, just like we can spend hours debating who should rightfully sit on the Iron Throne (clearly Daenerys Targaryen), I think we can all agree that ‘Winter… has come’.